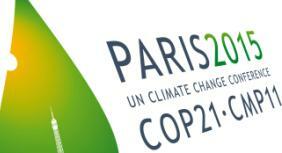 (04 November 2016) – The Paris Agreement legally enters into force today; 30 days after the EU’s ratification pushed it past the threshold to take effect. The event comes less than a year after the landmark agreement was adopted and just days ahead of the UN climate conference in Marrakech, Morocco. The annual United Nations climate change conference will take place from 7 to 18 November 2016 in Bab Ighli, Marrakech. Following the entry into force of the global climate deal, the first meeting of the Parties to the Paris Agreement (CMA 1) will also open during the conference.